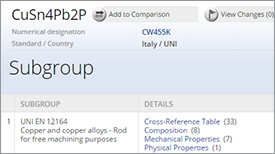 This group of Bulgarian (BDS) standards covers carbon, alloy and structural steels, free-cutting steels, plates for pressure vessels, hot-rolled plates, sheets and strips, high-temperature steel castings, welding filler rods, tool steels and electrical quality steels. Review of BDS Standards for steel consists of 4 volumes. It contains formally approved BDS standard classifications, guides, practices, specifications, test methods, terminology and related material such as proposals. 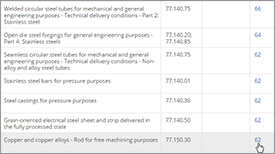 The following data is given for each standard: standard number and year, grade, chemical composition and mechanical properties (yield point, tensile strength, notch toughness). When deemed useful, steel type, manufacturing method, thickness of plate, heat treatment and other data are described. 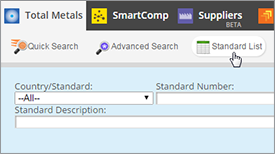 With Total Materia finding information about a metal standard specification, its current status and the materials it defines is one click away. 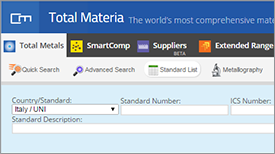 Within seconds it is also possible for you to find related detailed material property data or search equivalent materials starting from the Total Materia standard list. To get started, click on the standard list button in the menu bar. By simply selecting a Standard Development Organization (SDO) and/or typing the standard number, you receive immediate results from the multi-lingual database containing over 30,000 standards. 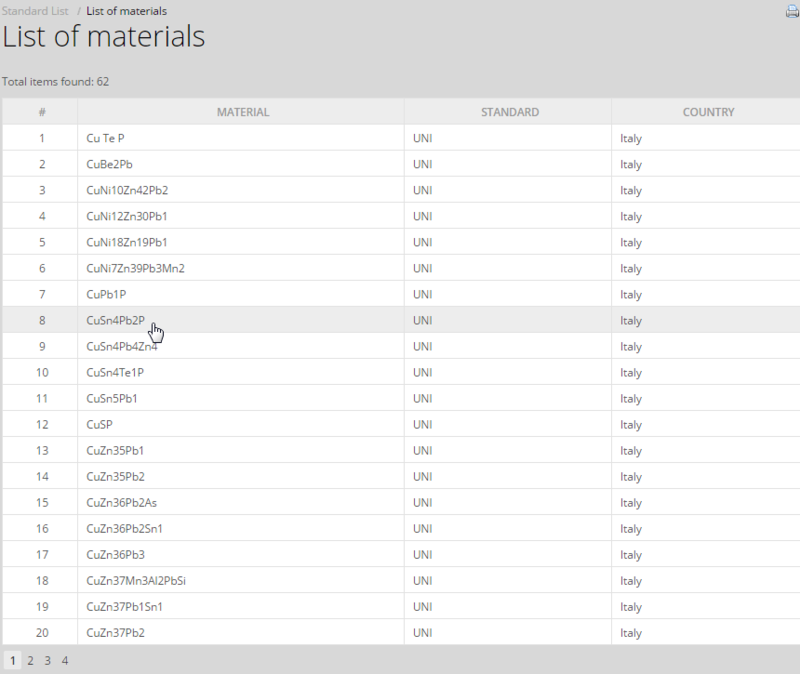 For example, you can review all metal standards from UNI by selecting this SDO from the popup. 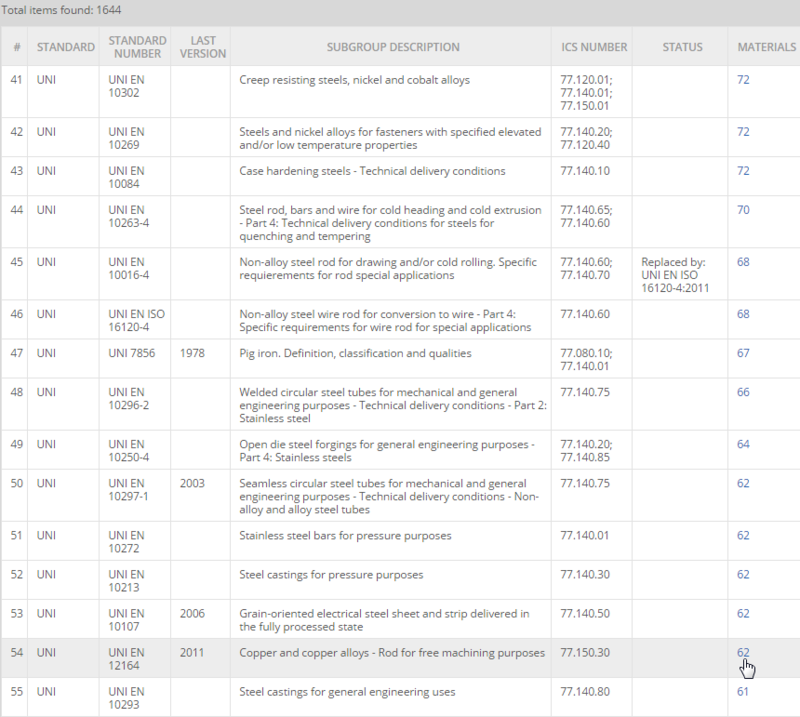 The result list consists of over 1400 UNI metal standards. Information includes: standard description, year of last issue, current status (valid, replaced, etc.) and a hot link to the materials defined by this standard. 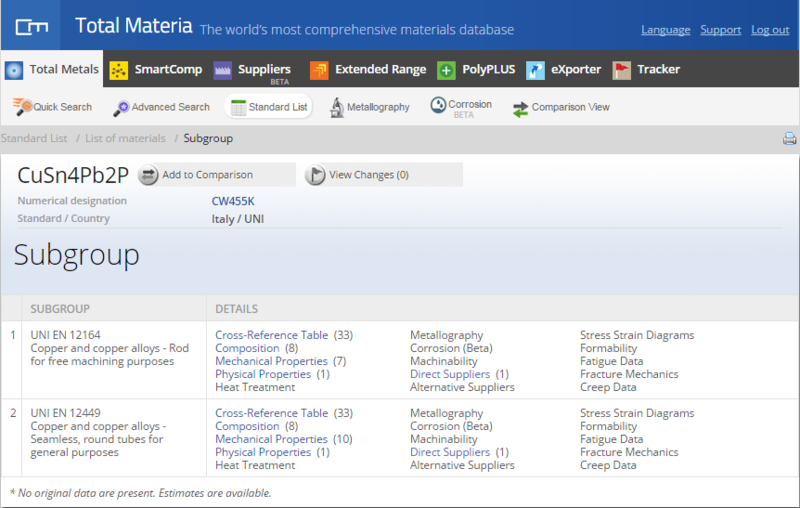 By simply clicking the materials hot link, you can see a list of metal materials defined by the selected standard. 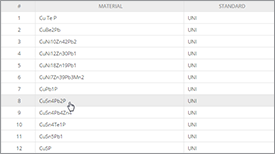 From the list of materials, you can review detailed properties and equivalents of each material.